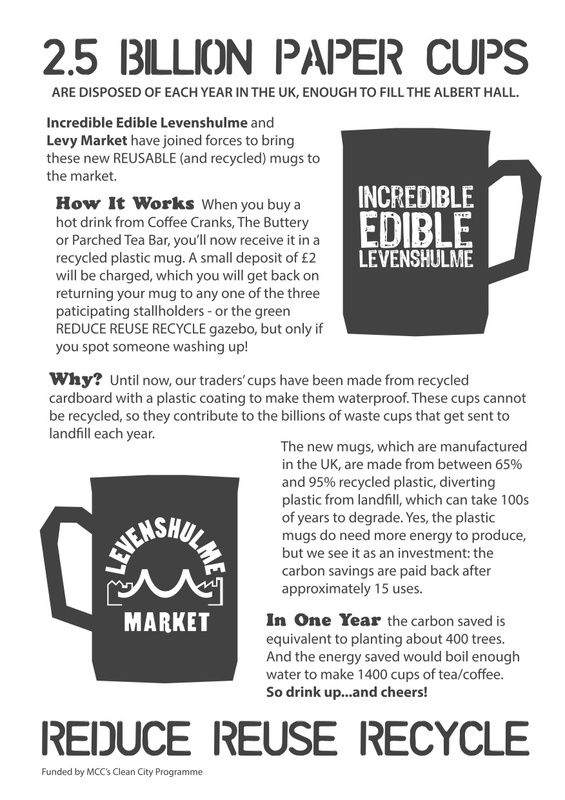 If you’ve been an avid user of our lovely green recycled mugs at the market every Saturday, you’ll be over the moon to hear that now you have the chance to own a market mug of your very own! 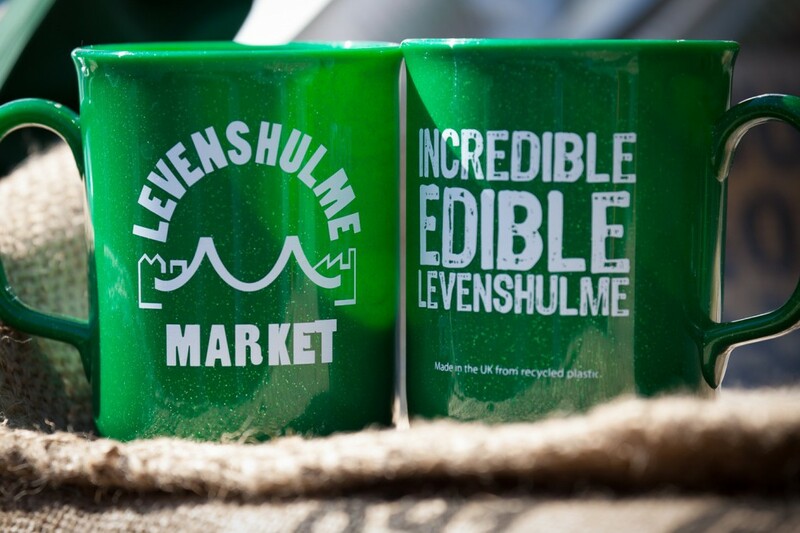 These beauties were purchased by the hard-working folks from Incredible Edible Levenshulme with funds from Manchester City Council’s Clean and Green Cities fund. The aim is to gradually reduce waste at the market, by providing customers with sturdy mugs for their hot coffees and teas that can be used time and time again. Even better, they’re made from recycled materials in the first place. As an added bonus, we think they look rather snazzy too. Let’s go green together, people! get back when you return the mug. If, though, you’d prefer to have your own green mug, pop over to POD on Albert Road from this Saturday and pick one up for £3. Once it’s your very own, don’t keep it to yourself – bring it along to the market every weekend and fill ‘er up! Top tip – these mugs are the PERFECT receptacle for hot mulled festive beverages – keeping hands toasty without burning fingers or collapsing like those rubbishy Styrofoam cups.